The Beatles Through The Years: Thursday Thought: "Don't You Get Tired Of The Beatles?" 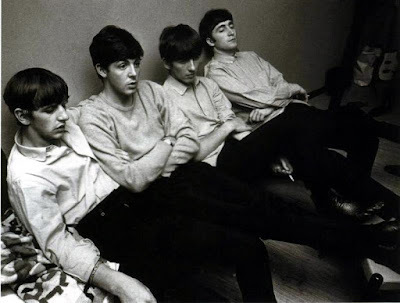 Thursday Thought: "Don't You Get Tired Of The Beatles?" Does One Get Tired of the Beatles? This is a new series I'm starting called 'Thursday Thought'. They'll be more in the form of a question, like today's question is 'Don't You Get Tired of the Beatles? ', It's a question that I've been asked many times in my life by various friends and family. "Don't you get tired of the Beatles?" The answer is....no. I don't. I've never once felt that I've been bored of them. I have on occasion (shock horror) listened to other bands, other genres of music but I've never abandoned them. I listen to them every day in at least some form or another. They influence my way of thinking, my way of speaking, my general outlook on life. They're a force for the good in the world. That's why I never get tired of them. They are the best. I'm sure many of you feel the same and have been asked this question yourselves. What is your response? Have you ever found yourself being tired of the Beatles? Never, ever get tired of The Beatles. I also listen to them every single day, and while it never occurred to me to tire of them, I have had plenty of people ask me if I ever get tired of them. Never. Although I was born way after they broke up (1985), their music is the sound track of my life. It is happy times of my childhood, it is my teenage angst, it is my adulthood. I can point to different songs and they remind me of different times in my life. I discover new things to love as songs I may have heard a hundred times before sound different somehow and something I never listened to much before suddenly becomes the jam of the day. I will never, ever, ever get tired of them.